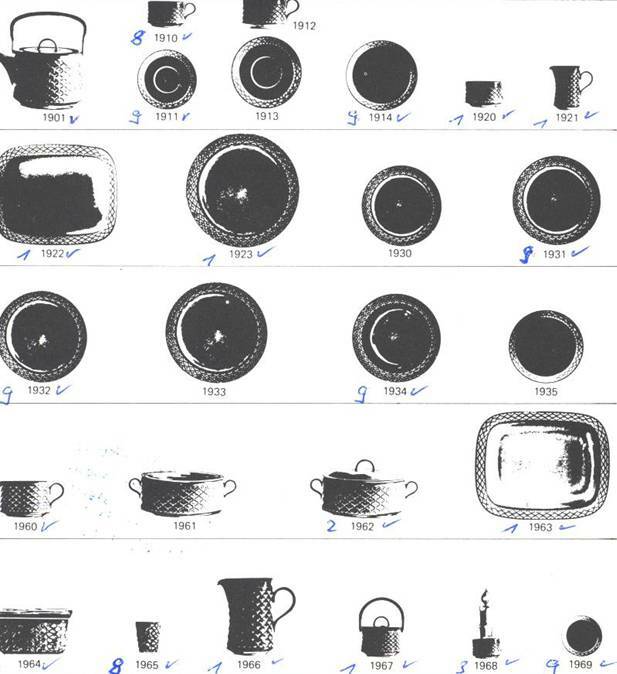 Much of the dinnerware on page. IF YOU WISH TO BUY, YOU CAN SEND E-mail AND PROVIDE THE NUMBER OF PARTS YOU ARE SEEKING. 1937 STARTEDE PRODUKTION AF STENTØJ OG FAJANCESTEL. 1957 BEGYNDTE SAMARBEJDE MED DEN KENDTE DESIGNER JENS HARALD QUISTGAARD (1919-2008). 1972 SOLGTES FIRMAET TIL BING & GRØNDAHL, SOM FORTSATTE DEN STORE SUCCES. 1988 LUKKEDE FIRMAET, MEN NOGLE STEL BLEV I EN ÅRRÆKKE PRODUCERET PÅ DEN KONGELIGE PORCELÆNSFABRIK, SOM KØBTE BING & GRØNDAHL, OG DERMED RETTIGHEDERNE TIL DISSE STEL. 1960-ERNE, VAR DET POPULÆRESTE STEL RELIEF. 1970-ERNE, VAR DET POPULÆRESTE STEL TEMA. 1980-ERNE, HER VAR MEXICO, PERU, COLUMBIA, AZUR, COPELIA, CORDIAL M.FL. MEGET POPULÆRE. SKOVS ANTIK SÆLGER I DAG MANGE DELE TIL DISSE STEL, PRIMÆRT TIL FOLK SOM SUPPLERER "UNGDOMMENS STEL", ELLER DET ARVEDE. STELLENE BLEV OGSÅ EKSPORTERET TIL MANGE LANDE, DERFOR HAR VI STOR EFTERSPØRGSEL FRA ANDRE LANDE OG VERDENSDELE. 1937 STARTED PRODUCTION OF STENTØJ AND FAIENCE. 1957 BEGAN COOPERATION WITH THE KNOWN DESIGNER JENS HARALD QUISTGAARD (1919-2008). 1972 COMPANY WAS SOLD TO BING & GRØNDAHL, WHO CONTINUED TO THE BIG SUCCESS. 1988 SEALED COMPANY, BUT FEW DINNERWARE WAS IN SOME YEARS PRODUCED IN THE ROYAL COPENHAGEN WHO PURCHASED BING & GRØNDAHL, AND RIGHTS IN THOSE DESIGNS. 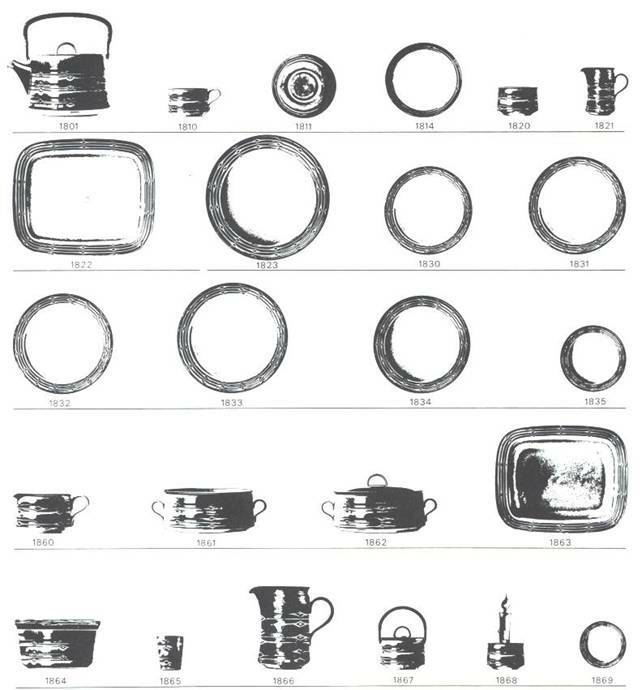 1960-S, THE MOST POPULAR DINNERWARE WAS RELIEF. 1970-S, WAS THE TEMA (THEME) WAS MOST POPULAR. 1980-S, THIS WAS MEXICO, PERU, COLOMBIA, AZUR, COPELIA, CORDIAL AND OTHERS VERY POPULAR. SKOVS ANTIK TODAY SELL MANY PARTS OF THESE DESIGNS, PRIMARY FOR PEOPLE WHO COMPLEMENTS THEIR SERVICE, OR LIKE THESE POPULAR DESIGNS FROM J. H. QUISTGAARD.